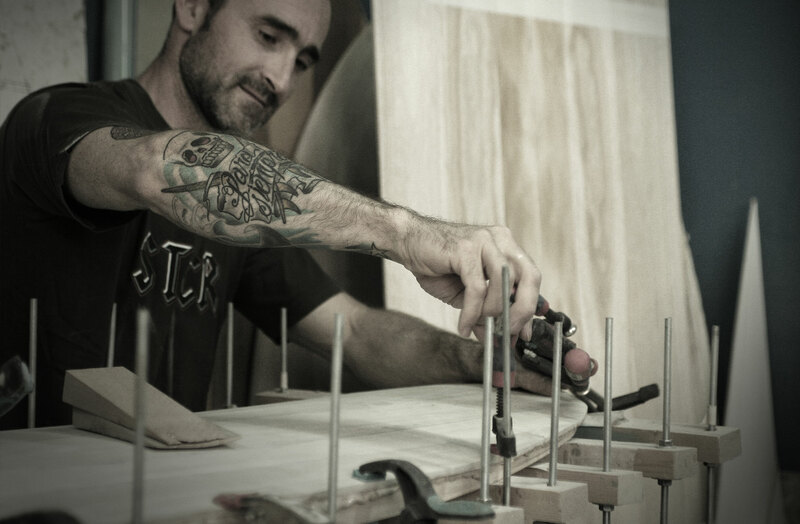 Proyecto Sandez is a woodshop based in Barcelona, crafting fine quality woodworks. Wooden boards are definitely different surfing from the modern foam boards. They are also beautiful and last much longer than foam boards. If you give it a little love, it will stay with you forever. In 1991, at the age of 16, I started my formation as carpenter in Germany. In 1992, I spent my first surfing holiday in Anglet, southern France. Ever since, I knew that these two passions would stay with me for a very long time! Eight years later, in 2000, I received my masters degree in carpentry in Düsseldorf, Germany. Then I started traveling, working, and surfing in many different places all around the world. I worked in lots of different fields of woodworking, learned a ton, saw and surfed a lot of different surfboards and then started building my own solid wooden board in 2006 – my first wooden balsa board – a 6″ single fin. As a passionate, surfing carpenter, building a wooden surfboard was the only logical consequence. Since 2010, I am based in Barcelona, Spain with my little family. 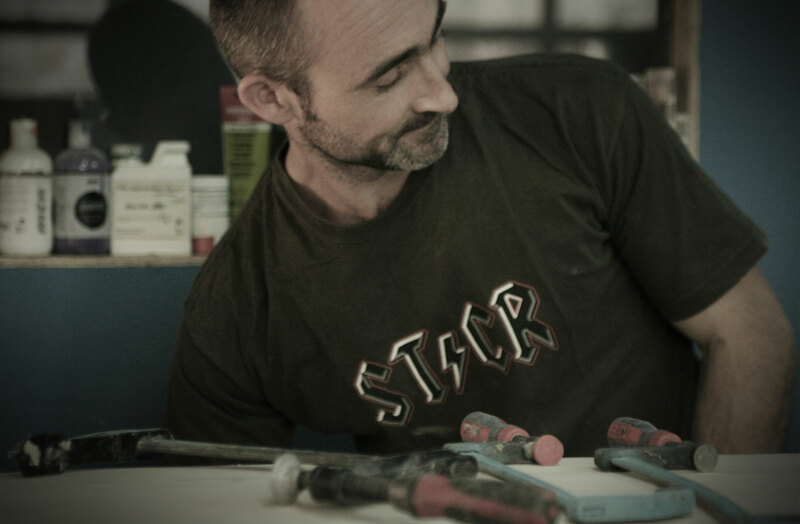 Still working as a carpenter, but also building wooden hollow surfboards and other wave riding vehicles. For almost ten years now, I have been building and surfing my boards and I am still loving it.